PHOEBE was built in 1851 by one of the Denny shipyards at Dumbarton with a tonnage of 613grt, a length of 172ft 8in, a beam of 25ft 5in and a service speed of 9.5 knots. She was built for Preston & Co. of Glasgow and acquired by the company in 1857 to replace the Union (1) on the Cape Colony mail service. A good weather ship she was fast and a good schedule keeper with a passage time of 37 days. In 1861 she was sold to the New Zealand Steam Ship Co. and then to Union S.S. Co.of New Zealand. 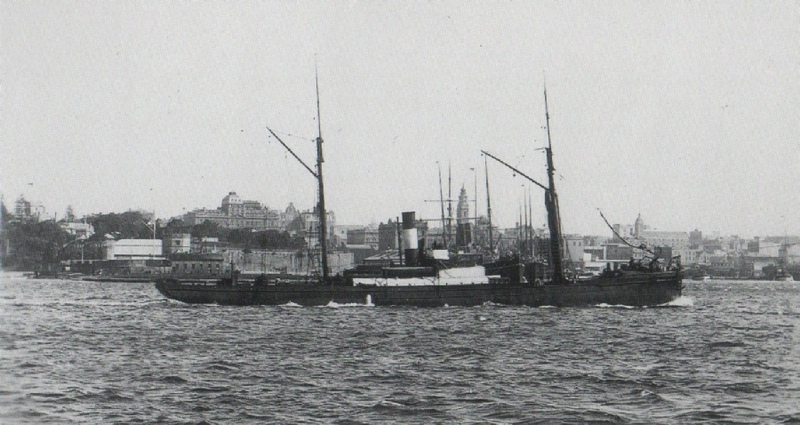 By 1865 she was owned by the Intercolonial Royal Mail Steam Navigation Co. of London and deployed on their Sydney-Auckland service. 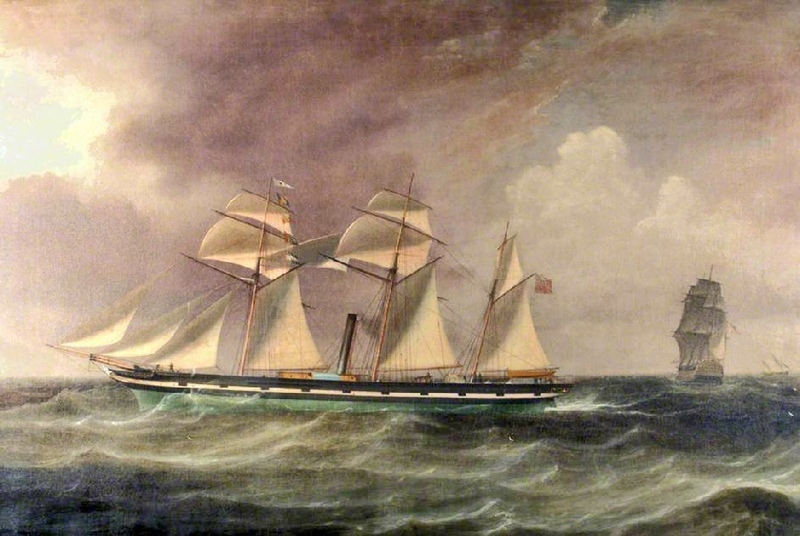 When, in 1866, the newly formed Australia Royal Mail Company Ltd introduced the Kaikoura, Rakaia and the Ruahine on the Sydney-Wellington- Panama service to connect with the Royal Mail ships the Pheobe was transferred to the London-South America service. She was sold in 1878 to J & A Brown of Newcastle, N.S.W, hulked in 1901 and dismantled in 1904. Lithograph print on card, unmounted, of the Screw Steamship 'PHOEBE'. Shows the Phoebe sailing with a sailing ship in the right background.